One of the most loved and prolific bloggers in "our world" passed away on August 20th. It was about one month later that the blogging world discovered the news. Melissa's last post was about a month and a half prior to her death and many of her on-line friends were very concerned, fearing the worst. If you visit that post, be sure to read the loving comments which were left following Melissa's passing. Coline, one of Melissa's closest and dearest on-line friends offered to write a memorial for T-Central. Please relax for a moment and take the time to read it. She chose a solitary life living out in the country head down in a solid company to pay for an early retirement to be herself, thank goodness for her and for us that she did. She had hardly started a blog when I first found her and we were instant soul mates. She encouraged me to start using an epilator and by degrees I encouraged her to restart going further out in the real world and she joined a support group and found some live friends again. If she had a fault it was her ability to get to a new post first and then post one of her perfectly formed comments leaving the rest of us speechless! Her spirit burned fierce and bright though sadly not for long enough. I had expected us to age gracefully together, her more gracefully than me, but is was not to be. The consolation is that she suffers in this mad world no longer. Ms. Petra Bellejambes is one of the classiest people on the web and needs no introduction here. Petra's tribute to Ramona, Passing is as heartfelt a memoriam as anyone could hope to read. In short, without Ramona, we would have missed out on Petra. We who love her style and wit call that unthinkable. Perhaps you are not a regular at Voyages en Rose. Maybe you should be. No matter, head over and read this story of a wonderful person who became a catalyst for others, and deserves to be remembered. 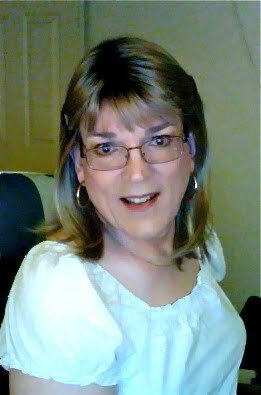 I've been following the blog of a friend, a transsexual woman in The United Kingdom, for many years. 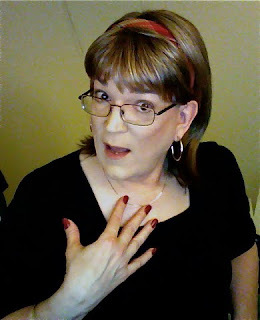 Like many who have completed their transition, my friend took her blog private a few years ago. It's sad, in some ways, that only a few have the honor of reading her words for she is, without question, one of the finest writers I have come across in my travels throughout blog land. She recently published an emotional post about an experience dating back ten years. Today, now fully transitioned and post surgery, she is finally emotionally ready to share what happened 10 years ago with her friends. What she wrote, however, should be read by more than just a few of her friends, for it could save a life. For this reason, I asked for, and received, her permission to share this post via T-Central. Obviously, it is her request to remain anonymous, but she did want me to let everyone know that, in her words, "It does get better." Today, September 10th 2011, I come to something that I haven't written about before. It's pretty hard to do this, but I feel I need to. The world is focusing its attention on what happened tomorrow, a decade ago. A day in which almost 3000 people were murdered in a morning, on tv, live. It was perhaps 11 or 12 years ago that I started to really try and come to grips with the mounting pain inside about my gender identity. I was married, and had been for over a decade. It had been a decent marriage, close and loving, I thought, and for five years we had together been running an increasingly successful business from home. But this 800lb gorilla, as the Americans might say, had sat in plain view in the middle of our relationship. Ignored and denied. I wanted to dress as a woman, I wanted to act as one. Though I wasn't be prepared to admit it, to others, even to myself, I felt myself to be one. Despite growing material success, depression in the mid 1990s had led me eventually into 18 months of therapy - the first time I tried to face up to what was going on inside, to name it even. And I did. I came away from those sessions, by the turn of the millennium, with the beginning of a profoundly new understanding of myself. One in which it was starting to be OK to be me. One in which I was beginning to accept who I was. That moment - the moment of self acceptance - effectively marked the end of my marriage. Though we stupidly applied sticking plaster after sticking plaster over the increasingly septic wound which grew within it (for the next seven years), terrified of the effect of divorce on our children...something vast had taken place in the process I had been though. My beginning to come to terms with myself me was a disaster for my spouse. There had hitherto been an unvoiced, unnegotiated, implicit 'deal' between us. I had this dirty little secret. No-one must know. It was, clearly, a major failing on my part, and a fairly sickening one, but it was just about manageable if a policy of 'don't ask, don't tell' was ruthlessly enforced. Shame and fear kept the lid on it. Hers and mine. Shame about what she classified as my 'perversion'. Fear of what might happen to everything we had created together if that perversion became publicly known. By the spring and summer of 2001 we were engaging in the first round of open warfare. I had said that I would like to go out, to a private party, one night in October 2001. My first time 'out' - 75 miles from home. It was a birthday party, being held for someone who had been kind to me, online. Some friends were gathering, in a club. Friends who would be taking their wigs and their heels and their make up with them, putting it all on in some cramped and sweaty changing room, and later removing it all with forensic attention lest their wives or girlfriends find evidence on them. My spouse was incandescent. 'Rage' is a small, inadequate word to describe what she directed at me when presented with this idea. Uncharacteristically filled with new found self belief, I stuck to my guns. I needed to do this. I needed support, to meet like minded people, I said. The rows were horrendous - amongst the worst we ever had, and they went on and on. She railed at me, made me cry. Incredibly, I didn't give way. After rage came a kind of emotional death in her. She withdrew. She wore an expression which looked like a mixture of shock and pain and despair, for weeks. It looked like depression (with which she had some past history). Naively, I'd had no idea that my desire to take myself out of the shame filled lock-down, and reach out to others, would have this effect. I should have known. It was stunningly short sighted of me. On September 10th 2001, I told her that I had relented. That I wouldn't go out. That I would try and make it all go away again. I thought - I hoped - this would lift her mood. That she would see I was trying to compromise. That it would help. I was very wrong. I should never have had that expectation of course. I was stupid. Egocentric. I couldn't see where she was. My grand gesture was received by her much as a woman who is being continually assaulted by a violent psychopath might respond to the news from her assailant that - because of his big heartedness - he had decided to stop hitting her. She went crazy. Berated me, insulted me - for putting her through it all. I was completely blindsided by this. (Though I didn't see it at the time, it was one of the first and most violent examples of just how completely we were incapable of entering into the perspective or feelings of the other.) I had made my offer, I thought, as something of an olive branch...and I felt completely emotionally defenseless when she went for me that day. I left the room in which my evisceration was taking place, and went up to the home office we shared. Stared at the computer. And burst into tears, my head on my hands. I remember that very vividly. After about 20 minutes, my spouse came in and looked at me. She was no longer angry, but looked at the sobbing mess in front of her, in bafflement. I forget the exact words she said, but they were along the lines of "I just don't know what to do. I just don't know how to help you." There was the smallest flicker of compassion in her voice, but she didn't approach me, or touch me. She just shook her head, and watched me crying for a few moments. Then she walked out and left the house. I can remember thinking 'I can't go forward. I can't go back'. Over and over the words played in my head. I felt in deep crisis, in despair. Locked into place, out of options. What happened next is why I am writing this post. I walked down to the garage. Supporting the roof of the garage was a large RSJ - a steel joist. There was clearance above it in one place to put a rope though. It was about 11 feet off the ground. I had a rope. I had identified it some weeks before, as strong and long enough. I made a noose, and then I put a set of steps underneath the joist. I climbed to the top of the steps and tied the rope around the joist. And there I stood, atop the steps, for maybe 10 minutes, looking at the rope. Thinking very hard indeed about killing myself. One thing, and one thing alone, got me down those steps again. My children. My life, in those few minutes felt entirely worthless. I wanted to die, to get this over with. I couldn't think of any way of making my pain better. But I loved my children. I knew they loved me. I thought about the lifetime of hurt I would cause them, and so I walked down the steps. Was I ever really likely to have done it? I simply don't know. I might have. In those desperate moments, without any sense of hope, I might have impulsively put that rope round my neck, kicked away the steps and then died a ghastly death as I choked (having thought little about the 'drop' required to snap the vertebrae in my neck). After it all I simply felt numb. Assaulted. When my spouse returned, we barely spoke to each other. Naturally, to this day, she knows nothing of what happened in the garage. But this isn't the end of the story - far from it. The next day started anonymously enough. One of our team was returning to work after a period away, and we took her out for a pub lunch to welcome her back - all superficial smiles and nothing betrayed, as ever...and as we would sustain for years to come. 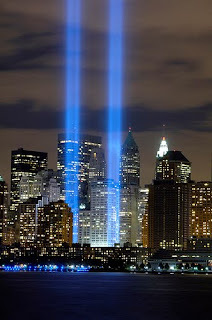 At about the time we were finishing the main course, American Airlines Flight 11 hit the north tower of the World Trade Center...and the rest is history. We didn't hear about it till we had returned from lunch. In fact, with one glass too many inside me, and a free afternoon, I decided to take a nap. I was awoken by my spouse. She had heard the news. We turned on the bedroom tv, and watched open mouthed. The day before, I had come very close indeed to ending my own life. Now I was watching thousands of people, mothers, fathers many of them, have their lives taken from them. People with others who loved them, who needed them. People were being forced to throw themselves out of windows a quarter of a mile in the air. Everything changed in those minutes. Something profound and tectonic shifted inside, making the experiences of the previous day - and how I had felt - take an utterly different shape. A self indulgent, self obsessed, awful shape. The people I was watching on television had had their choice removed, shockingly, brutally. I, on the other hand, was lucky enough to have a choice still. And I could chose to try and stay alive, whatever happened, whatever it took. That day, I knew I wasn't going to commit suicide. I knew that my love for my children would always be enough, no matter what happened. In the following few years plenty did happen. But it has been. 9/11 may have saved my life. Sometimes when you read a post it gets you thinking a bit, or agreeing a bit and then you just forget about it and move on. Every now and then, however, there is one that is AHA! and when you head away, you think "I want to read that again. It was very well said", and you go back. Perhaps you print it and put it on the refrigerator for all to see, because the ideas are simple and crystal clear. A Hua Li at Gender Adventure wrote a piece I am not transgender because a few days ago that fits that description. Now please excuse me while I read it yet again. Recently, we had a couple of T-Central readers inform us that Zagria's, A Gender Variance Who's Who blog carried with it an Internet virus warning posted by Google. I contacted Zagria and the virus, while not associated with her blog, was associated with another website linked to on her blog. Zagria eliminated the link and received notice from Google that A Gender Variance Who's Who is clean. The primary purpose of this post is to let everyone know that it's safe to enter Zagria's wonderful site. So, while were at it, why not take a look at her latest post. Zagria's posts are always fascinating and this one is full of intrigue involving the very early days of gender reassignment surgeries. Juliet Griffiths (1930 - 1960) Performer is Zagria's latest post.